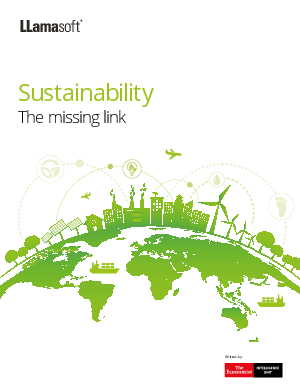 Sustainability: The missing link is a report written by The Economist Intelligence Unit and sponsored by LLamasoft. It explores how sustainability considerations are spurring companies to think differently about managing supply chains. We investigate how companies are balancing traditional priorities such as cost reduction, stock efficiencies and profitability with ethical provenance and environmental impact, as well as taking action on sustainability by building stronger relationships with suppliers.